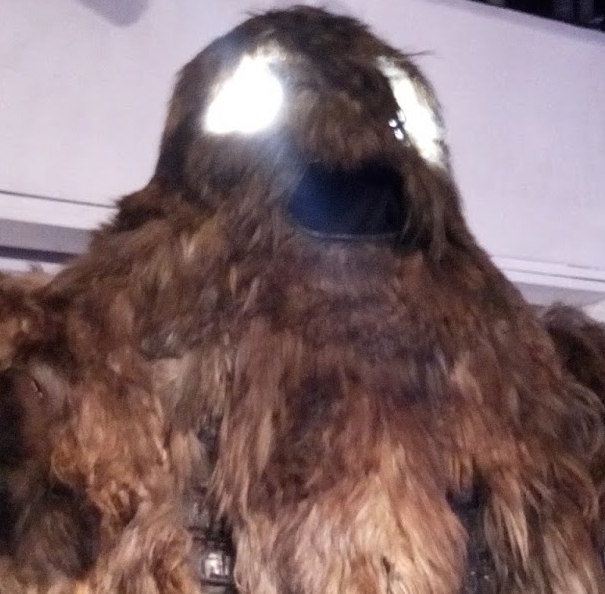 The monsters in Doctor Who have always been a staple part of the show’s continued success. However, history can be cruel and as we have seen in the top ten worst monsters; Who didn’t always get it right. But the show has still spawned some of the most memorable monsters, some of which have even entered popular culture. Read on, you may be surprised. variety of objects – that kill. Daffodils, telephone wires, grotesque dolls and even a couch. However, it is in their shop window dummy form, that they are most recognisable. Breaking out of windows and going on the rampage on the high street, in Spearhead From Space; with their concealed hand lazers, is considered one of the defining moments from the Pertwee era. The brains behind the Timelord’s rise to ultimate power and tragic Gallifreyan stellar engineer, who tamed the power of the Eye Of Harmony into a usable power source but was himself, lost in a collapsing star. Omega ended up trapped in an antimatter universe striking out at the Timelords with his considerable powers in The Three Doctors and The Arc Infinity. This Earthly grown threat preceded humans, as the dominate lizard-based lifeforms on land (The Silurian/Eocenes) and underwater (the Sea Devils) on a primordial Earth. They both went into huge underground hives to sleep through the wiping out of the Dinosaurs and awoke in the 20th Century, to reclaim the land from the ‘hairless apes’ by force. On paper, a large, oversized and slow lumbering ice lizard – from Mars; seems like it might fit better into the ‘Worst Monsters’ list – than the best. However, being that they hail from the neighbouring world of Mars and have a strange awkward creepiness about them, especially their breathless grunting in warmer temperatures. Coupled with their near invincibility and devastating disruptor weapons; they have infact been one of the most popular, feared and most featured monsters – in Who. The staple Troughton monster from the late 60’s ‘monster era’. The Yeti will always be synonymous with the Tibetan hills and London Underground. Underneath the shaggy exterior, lies a mysterious robot of immense power and strength; which is practically invincible. There is something really cool 40 years later about the look and design of this duo. From the uber-shoulder padded uniforms of the warlike aggressors – The Dominators down to the spiked heads of their multi-functioning robotic bodyguards – The Quarks. Striking out from Galaxy 10, the Quarks kill indiscriminately – on order of their Dominator masters whilst they conquer and enslave other worlds. This cloned and bred to die-in-combat alien has been one of the most featured monsters in Who. The Sontarans have been at war with their neighbours – The Rutans for centuries, both are stuck in a kind of eternal stalemate. Their cool silver armour is only eclipsed by the revealing of their hairy potato heads underneath their domed helmet. Small and squat, the Sontarans present a formidable opponent. Their only known weakness is an aversion to coronic acid and damage to their tiny probic vents on the back of their necks. Their interest in Earth is purely strategic – as a forward-staging post, to attack the Rutan host and end the war. However, the Doctor has always managed to prevent them gaining a foothold here. The Monster most synonymous with the Doctor – his original mortal enemy. Surprised that these ferocious pepperpots are not number 1? 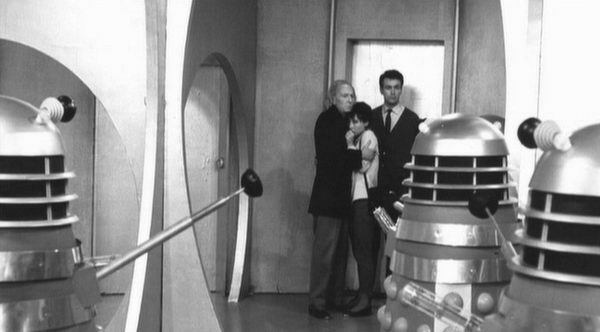 Well the golden age of the Daleks was really in the Hartnell and Troughton era and their standing as enemy number 1 was severely challenged following their apparent demise in Evil Of The Daleks. Each appearance since has either been an origin story, or an attempt by the Daleks, Davros (or a breakaway faction) – to rebuild their shattered empire. They were also hampered by their perceived difficulty to navigate anything less than smooth terrain and when the Movellans devised a lethal Dalek virus they were almost wiped out entirely. Their appeal is intact but mostly based on past glories and a nostalgia trip back to the show’s earnest beginnings when they were number 1. The Cybermen have always been the most relevant monster in Who, due to their original human origins; on planet Mondasia in our solar system. Also, the catastrophic event which pushed Mondasia into a permanent solar winter; which forced them to upgrade their bodies with tech to survive and their desire to kill the humans and the Doctor in revenge. Each appearance would see the Cybermen having upgraded their appearance and weaponry again; only retaining their signature jug handles on the helmets. They would also take their vanquished opponents and “upgrade” them into fresh Cyber-units. This made the Cybermen formidable opponents, especially for the Doctor. Their only known weakness was gold dust which clogged up their chest respirators and suffocated them. The Cybermen really exist as a warning to the human race about the perceived benefits of artificial upgrades and the joining of technology and biology. The best conceived and designed monster in the whole series of Who, with a disgusting slimey and tactile organic quality to them and their spaceship design (the new series look didn’t alter either). These shapechanging aliens are more used to hiding in plain sight, than undertaking an upfront invasion. However, their quiet backdoor takeover of Earth, involving replacement of all of the Earth figureheads with morphed Zygons; is probably still the most effective invasion attempt yet. Their only weakness is their continued requirement for amneotic milk from their huge pet lizard – the Skarasen (or Loch Ness monster as it became known). What do you think of our top 10? Who is your no. 1?